What’s your plan for increasing prices? Beef prices are at an all-time high and they don’t look to be coming down any time soon. Restaurants can expect beef prices to keep rising | Commodities content from Nations Restaurant News. How do you get funding for your restaurant startup? Here’s a story out of San Francisco about the new wave of crowd funded restaurant ventures in San Francisco. “Crowd funding” is the practice of raising money online through donations via sites like www.KickStarter.com. The websites help you promote your idea and raise money to get it off the ground. Looking at the amount of money being successfully raised, I’m not sure if crowd funding will ever be enough to bankroll an entire restaurant buildout. It does however seem pretty viable to raise enough money for your operating capital or a down payment on a bank loan for your restaurant. It looks as if McDonalds is making a move to try and keep up with Subway which has outpaced McDonald’s growth by a large margin in the last few year and surpassed McDonalds to become the largest restaurant chain, measured by number of stores, sometime in 2010.McDonald’s latest attempt to defend it’s position as a market leader manifests itself with a new menu item, the McWrap, that is aimed at millenials who gravitate toward higher quality, healthier menu items. Their thought is that they want to give millenials a reason not to go somewhere else if they are trying to eat better. The good – It’s always a good idea to consider where the market is going. Staying ahead of menu trends can help a restaurant remain a market leader. Making intelligent changes based emerging trends may also prevent the concept from getting stale and protect it from competition from newer, trendier restaurants. The risk – Rolling out new menu items to compete with other chains can hurt the market position of a restaurant brand. A well established brand like McDonalds means particular things to people. Screwing not just with menu items, but with menu direction can adversely affect a restaurant’s ability to deliver on the preconceived notions that diners already have about a restaurant. Not delivering on your customer’s expectations will hurt any brand, even one as big as McDonalds. A great example is the Angus burger line for McDonalds. They rolled out this line to compete with the emerging high quality “quick casual” concepts that have been dominating new growth in the quick service segment the last decade. The effort has been widely seen as a failure and the Angus burgers maybe on their way out of the McDonalds menu lineup. McDonalds needs to make sure that any new menu items take advantage of their current market position. They will never be able to rebrand themselves as a “healthy” concept. They will never be an “upscale” quick casual concept. That just isn’t why McDonald’s existing customers go there, and trying to be those things can alienate those existing customers and confuse new customers who relate to McDonalds one way through their existing customers and another way through McDonald’s own branding efforts. 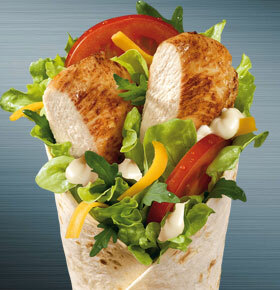 The verdict – It’s up to history how the McWrap will do at McDonalds. I predict a big, fat flop. First, the McWrap is being rolled out to chase health conscious millenials who are simply never going to see McDonald’s as a healthy place to eat, despite the fact that McDonalds does in fact have healthy menu items. The Angus burgers failed to help McDonalds position itself as a quick casual or high quality option like it’s “quick casual” competitors. It was a waste of time and resources. The advice – McDonalds would make more money realizing that what it’s customers want most is speed and consistency. People don’t expect the best hamburger from McDonalds and frozen 1/4 lb Angus patty doesn’t deliver it anyways. It’s great to try new menu items to keep your existing market demographic happy. It’s not great to sacrifice your existing market position to chase a completely different market. McDonalds should refocus on who it is most likely to come to their restaurant, trim the fat from extra menu items that don’t speak to that market, then focus on innovative ways to reach new customers that have the same sensibilities and desires as their existing market base. Brandon O’Dell of O’Dell Restaurant Consulting offers operations and marketing consulting for restaurants and food services of all types. Visit www.bodellconsulting.com for more information and find downloadable spreadsheets and management tools in the webstore at www.bodellconsulting.com/webstore.html.